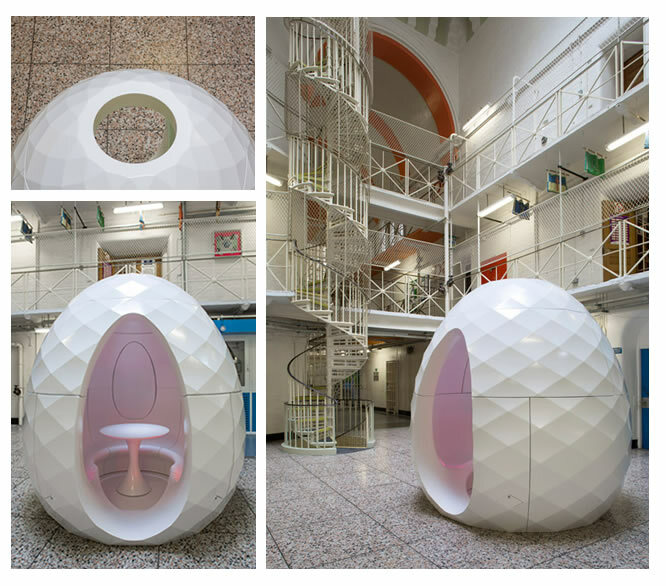 Designed by Karl Lenton of UK company Safe Innovations Ltd, the egg shape structure, known as a “Seed”, is acoustic and is designed to allow for maximum privacy for inmates during healthcare meetings & appointments. The components that the structure is made are without fixings and can be assembled in an estimated 30 minutes! That’s a lot quicker than myself assembling flat pack furniture, this usually takes me around 3 hours between coffee breaks. The lack of fixings also decreases the risk of danger for the healthcare assistants that are in the Seed with the patient. 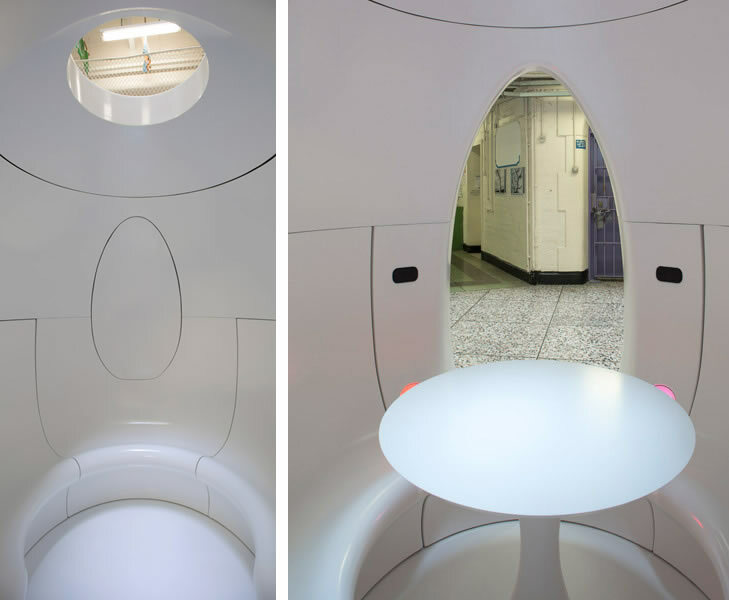 The simple surroundings inside the Seed allow for a “neutral environment” for the prisoners, keeping them at ease and allowing them to have the privacy that they need. It really is like something that should be in a sci-fi movie! Might be an idea for the new Star Wars sets…? As the article from Dezeen mentions: "Prisons by their very nature are loud environments, made from materials that amplify sound. Seeds' inner foam core is used to dampen and mask these external sounds of prison life, so conversations can take place inside Seeds without people having to raise their voices to be heard." Allowing for a calm environment for the inmates, helping them towards improving their wellbeing in what must be quite a “hostile” environment that they are so used to. As well as looking fantastic, being mobile and acoustic, I am impressed at how much this Seed idea will help towards improving the health of inmates. I think it shows a new level of healthcare as well as acoustic design ideas! I also like to think that the name “The Seed” may stem from the fact that it can be seen as a start to new beginnings and growth, like this blog writing will be for me… But that could be me looking into it a bit too much! Either way, I have to say… I am in awe! I hope that the benefits have already been showing in Leeds! Definitely will have to keep an eye on this... May even suggest one to the MD for a new meeting room for the inmates, sorry, colleagues, here at Office Reality!